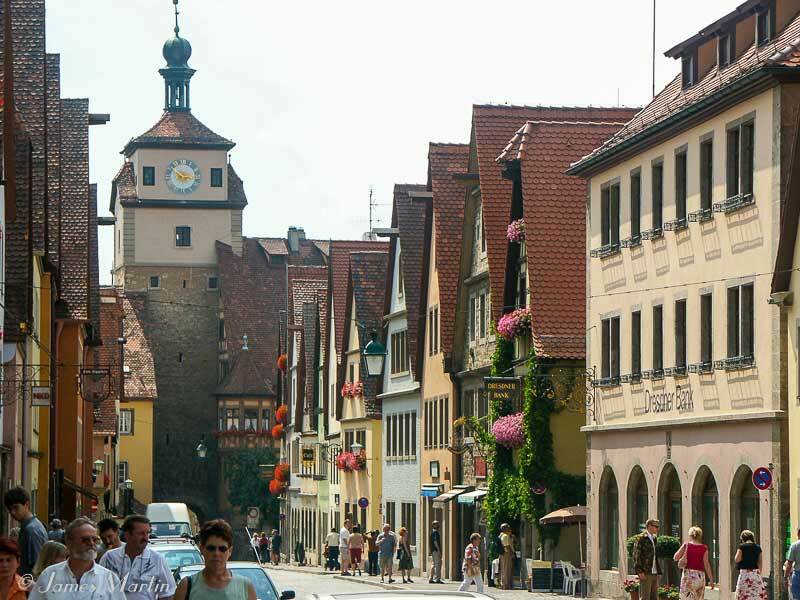 Rothenburg is everyone's favorite stop along the Romantic Road. It's Germany's best preserved medieval town. Make sure you stay the night in a hotel inside the walls so you can see the city without all those day trippers. 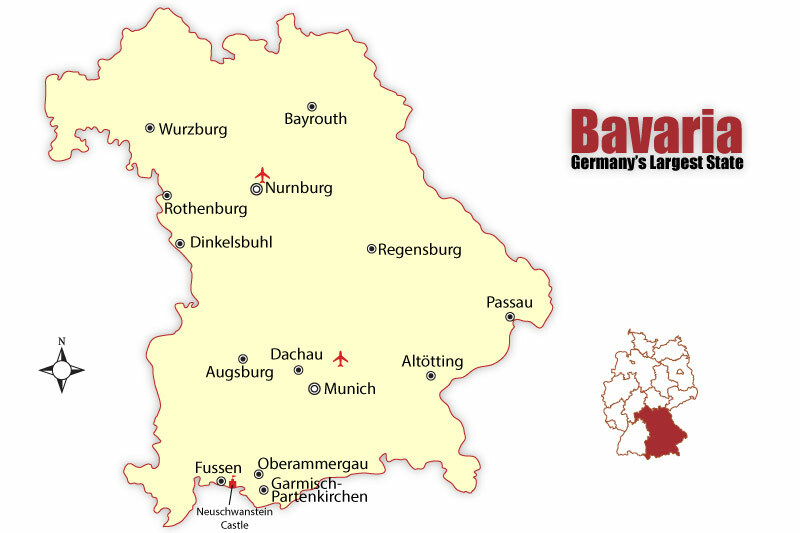 Below is our interactive Rothenburg ob der Tauber map showing the tourist attractions and the best hotels to stay in. Click the map markers to see more information on Munich's attractions. 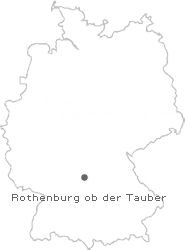 Germany has several Rothenburgs. The one you want if you're a tourist looking for the fine medieval city with ramparts you can walk around and a torture museum is Rothenburg ob der Tauber as shown on the map. 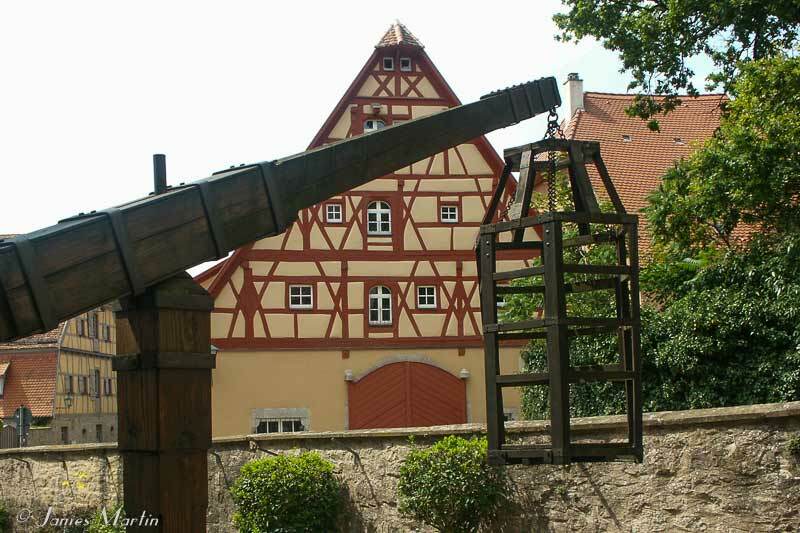 Rothenburg ob der Tauber is in Bavaria, southeast of Frankfurt and northwest of Munich. The Rothenburg Castle was built in 1070. A village developed around it, officially founded in 1170. The walls you can still walk around and towers were added in the 13th century. And if you're big on crime, there's a Medieval Crime and Justice Museum. Rothenburg's Tourist Information Center is found in the Marktplatz near the town hall (rathaus) marked on the map. By car from Munich take the A8 Autobahn to Augsburg-West, then B2 to Donauworth, then the scenic Romantic Road to Rothenburg, or, faster is to continue on the A8 and take A7 to the Rothenburg exit. This route should take around 2 hours and 45 minutes. Park outiside the walls unless your hotel offers parking. 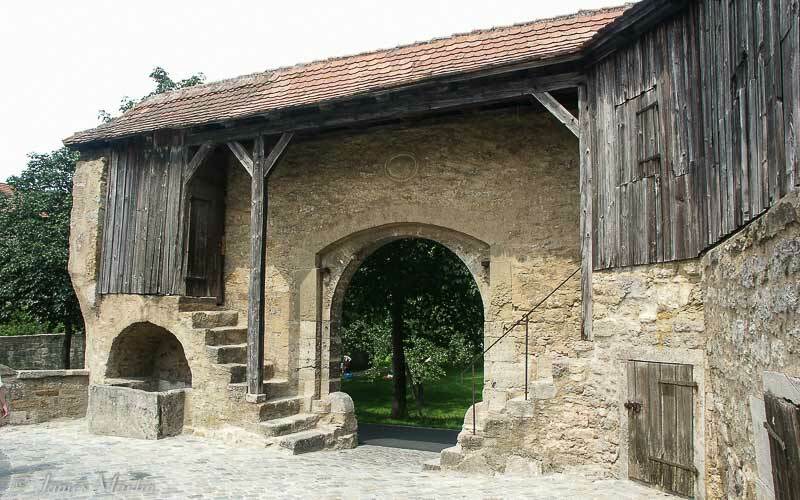 Rothenburg's train station, marked on the map, is about a ten-minute walk from the center.